What started out as a little idea has turned into a real thing! And there’s lots of them, sitting above my fireplace. Between two home-made giraffes. It’s so lovely making things, isn’t it? Cakes, quilts, motorcars, even papier mache giraffes. (I haven’t actually made a motorcar). But if anyone out there fancies writing a book, I can definitely recommend it. 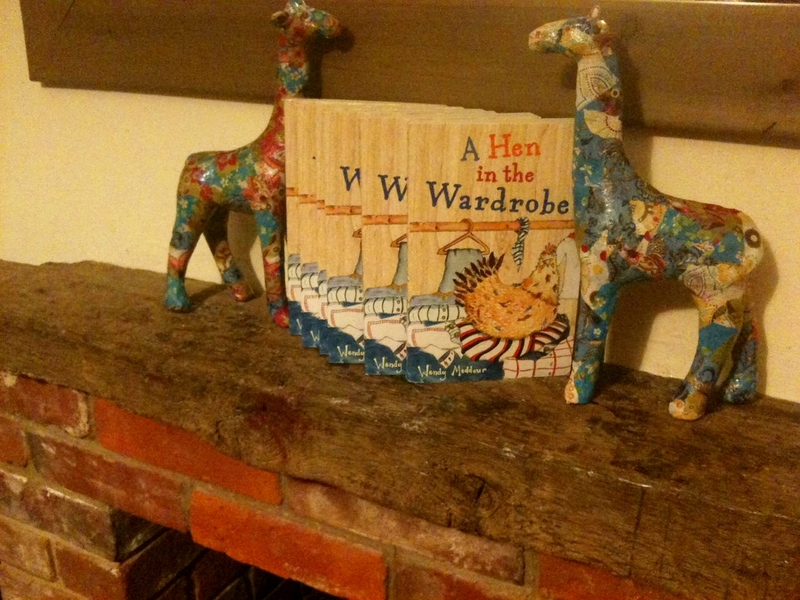 Next It’s A Hen’s Book Birthday!! !